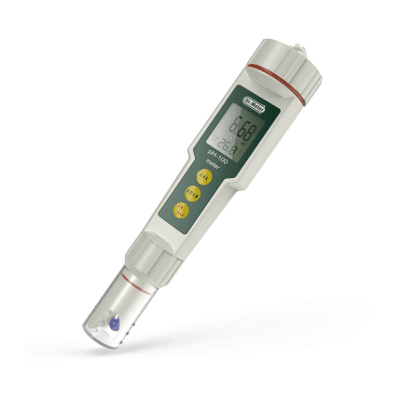 The Dr.Meter pH-100 is a handheld, accurate pH meter that measures pH value of water or solution. It has been widely used in the realm of hydroponics, education, water treatment, and swimming pools. This meter has ATC(automatic temperature compensation) for accurate readings in fluctuating temperatures.